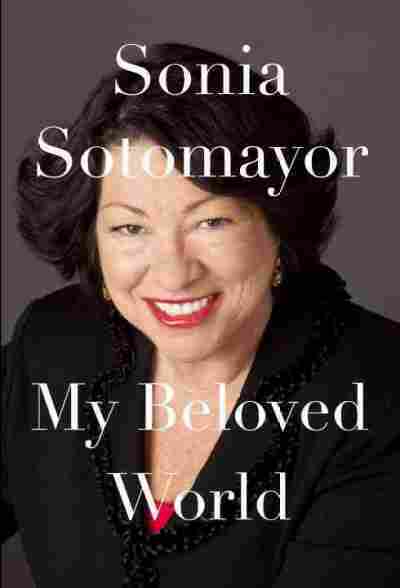 Interview: Sonia Sotomayor, Author Of 'My Beloved World' The Supreme Court justice tells Fresh Air's Terry Gross, "In every position that I've been in, there have been naysayers who don't believe I'm qualified or who don't believe I can do the work." She has committed herself to proving those people wrong. 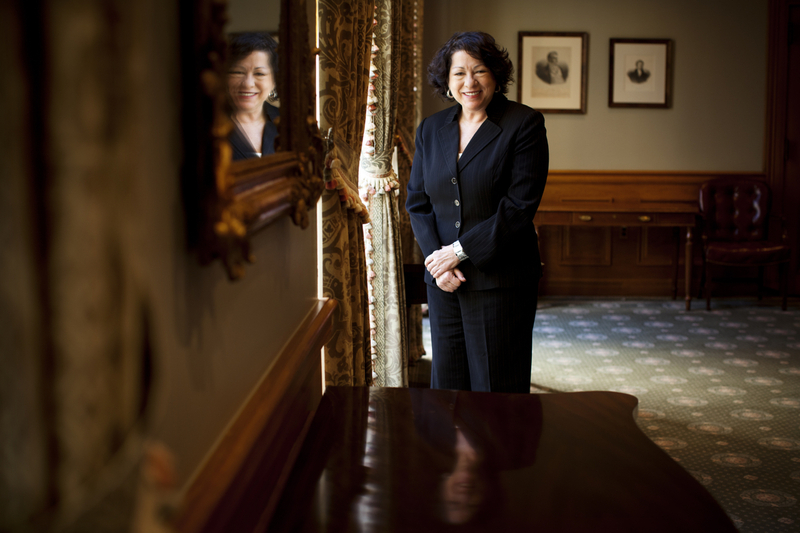 In addition to being the first Hispanic to serve on the Supreme Court, Sonia Sotomayor was New York state's first Hispanic federal judge. 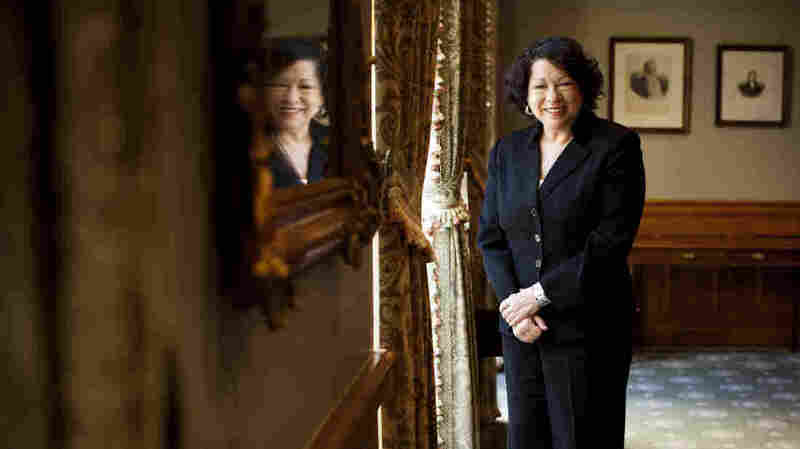 Like most sitting Supreme Court justices, Sonia Sotomayor is circumspect when talking about the court; but she has written intimately about her personal life — more so than is customary for a Supreme Court justice. "When I was nominated by the president for this position, it became very clear to me that many people in the public were interested in my life and the challenges I had faced," she tells Fresh Air's Terry Gross. "... And I also realized that much of the public perception of who I was and what had happened to me was not quite complete." 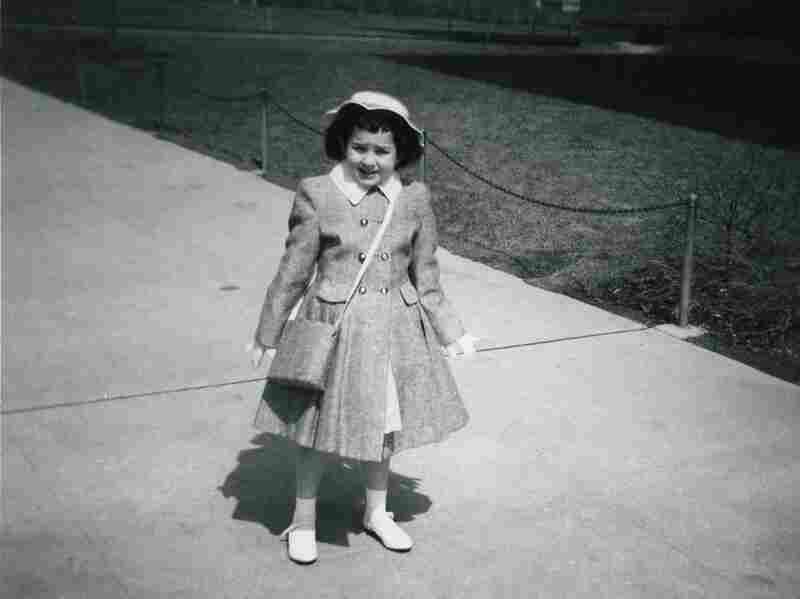 In her memoir, My Beloved World, Sotomayor recounts growing up poor in the South Bronx; living with juvenile diabetes, a chronic disease; being raised by a single mother after her father, who was an alcoholic, died; and struggling to get a good education in spite of the odds. It became a best-seller when it was published last year and has just come out in paperback. I watched my father, who I knew loved me, kill himself with alcohol; I watched a cousin [Nelson] whom I adored ... this person who had an enormous talent and a great intelligence ... destroy himself and affect his family with a great deal of pain by ultimately killing himself with drug use. I think because of my experiences, however, I could treat that person in my courtroom as an individual and not as a nonentity and at the same time hold them responsible for their acts. I think there's always a discussion about nature versus nurturing, but I do believe that it's always a combination of the two that impacts what happens to a person. I also think that each child has to have within them a desire to achieve something. For me, my initial goals were just to graduate from college because nobody in my family had done it. But the idea of having a mark that I wanted to achieve helped me. Nelson couldn't find that in his life. He loved being a musician. Regrettably, his father wanted him to be a doctor and their dreams clashed and I think Nelson never found the support that he needed to give reality to his dreams. One day talking to my first-year roommate ... I was telling her about how out of place I felt at Princeton, how I didn't connect with many of the experiences that some of my classmates were describing, and she said to me, "You're like Alice in Wonderland." And I said, "Who is Alice?" And she said, "You don't know about Alice?" And she said, "It's one of the greatest book classics in English literature. You should read it." I recognized at that moment that there were likely to be many other children's classics that I had not read. ... Before I went home that summer, I asked her to give me a list of some of the books she thought were children's classics and she gave me a long list and I spent the summer reading them. That was perhaps the starkest moment of my understanding that there was a world I had missed, of things that I didn't know anything about. ... [As an adult] there are moments when people make references to things that I have no idea what they're talking about. You have to work harder. ... In every position that I've been in, there have been naysayers who don't believe I'm qualified or who don't believe I can do the work. And I feel a special responsibility to prove them wrong. I think I work harder than a lot of other people because of that sense of responsibility. Does it mean that I think that I have an obligation to any particular group including Latinos? No. My job is my job and, particularly being a judge, I would be doing a disservice to the Latino community if I ruled on the basis of a preference for any group. ... I have to rule as I do on the basis of the law ... but I do feel that I have a special responsibility to work harder to prove myself because I am the first of a group that has been perceived as being incapable of doing whatever it is that I've had the benefit of becoming a part of. On women trying to "have it all"
This whole continuing question about whether women can "have it all" — I think it's the wrong question. I think the right question should be, "What makes you happy as a person? Do you want to not 'have it all' but to have both in your life in an imperfect way?" Because if the question presupposes that you're going to do both and be equally happy at every moment, it's a false question. It's a compromise; it's a balance; it's figuring out what's the most important thing you have to give at that moment and to what. All of that is a constant work in progress.